For 70years, UNICEF has been working on the ground in 190 countries and territories to promote children's survival, protection and development. The world's largest provider of vaccines for developing countries, UNICEF supports child health and nutrition, good water and sanitation, quality basic education for all boys and girls, and the protection of children from violence, exploitation, and AIDS. UNICEF is funded entirely by the voluntary contributions of individuals, businesses, foundations and governments. Under the supervision of the Chief Field Operations, this post serves as head of sub-office and is the primary liaison between the country office and the regional and district government authorities supported by UNICEF in the Southern Highlands. Based in the field office in Mbeya's Regional capital, this post supports local government and NGOs in the region in the areas of programme planning, budgeting and monitoring across all relevant programme sectors. The post also liaises with the UNICEF country office in Dar Es Salaam serving as a base for field monitoring and communication with local authorities. Post office is based in Mbeya, with frequent travel within the country. Ensure effective management of the zonal office through proper leadership, planning, control, organisation and motivation of staff in accordance with UNICEF personnel rules and regulations, financial policies and procedures. Facilitate the preparation and review of Annual Work Plans by providing technical support and guidance to the regions and districts in establishing results, activities and budgets aligned to UNDAP during MTEF preparations. Ensure appropriate classification of activities and provide feedback on inter-sectoral linkages, coherence between programme plans, and alignment of activities against annual targets. Provide technical and operational support throughout all stages of programming processes by executing/administering a variety of technical, program, operational and administrative transactions, preparing related materials/documentations and complying with organizational processes and management systems, to support program planning, results based planning (RBM) and monitoring and evaluating results. Ensure accuracy in plans and budgets projections to the Government through verification against past disbursements and ensuring accurate linkages in Annual Work Plans. Ensure that plans and budget projections and relevant reporting of disbursements is accurately reflected in the MTEF. The incumbent interprets and applies the guidelines. The incumbent is expected to make recommendations when deviation from the guidelines is necessary, to ensure project efficiency and effectiveness. Participate in monitoring and evaluation exercises, program reviews and annual reviews with government and other counterparts to assess programs/projects and to report on required action/interventions at the higher level of program management. Monitor and report on the use of sectoral program resources (financial, administrative and other assets), verify compliance with approved allocation/goals, organizational rules, regulations/procedures and donor commitments, standards of accountability and integrity. Report on critical issues/findings to ensure timely resolution by management/stakeholders. Follow up on unresolved issues to ensure resolution. Draft regular/mandated sectoral program/project reports for management, donors and partners to keep them informed of program progress. Conduct regular program field visits and surveys and/or exchange information with partners/stakeholders to assess progress and provide technical support, take appropriate action to resolve issues and/or refer to relevant officials for resolution. Report on critical issues, bottlenecks and potential problems for timely action to achieve results. Build and sustain effective close working partnerships with government counterparts and national stakeholders through active sharing of information and knowledge to facilitate program implementation and build capacity of stakeholders to achieve and sustain results on education programs. Draft communication and information materials for CO program advocacy to promote awareness, establish partnership/alliances and support fund raising for education programs. Participate in appropriate inter-agency (UNCT) meetings/events on programming to collaborate with inter-agency partners/colleagues on UNDAF operational planning and preparation of education programs/projects and to integrate and harmonize UNICEF position and strategies with the UNDAF development and planning process. Research information on potential donors and prepare resource mobilization materials and briefs for fund raising and partnership development purposes. Contribute to identifying, capturing, synthesizing and sharing lessons learned for knowledge development and capacity development of stakeholders. Apply innovative approaches and promote good practice to support the implementation and delivery of concrete and sustainable program results. Research and report on best and cutting edge practices for development planning of knowledge products and systems. Participate as resource person in capacity building initiatives to enhance the competencies of clients/stakeholders. Advanced Degree in Social Science or other social science field is required. Five years of progressively responsible professional work experience at the national and international levels in programme management, monitoring and evaluation, in a related field. Fluency in English and another UN language. Professional technical knowledge/expertise in Evaluation Process Management, Follow-up on Recommendations and Dissemination of M&E results. Knowledge of decentralization in Tanzania and key aspects of Local Government planning, budgeting, monitoring and reporting processes. Professional technical knowledge/expertise in demography, statistics, and data management. Professional technical knowledge/expertise in methodology of M&E, including theories, standards and models, quantitative/qualitative/mixed methods, validity/reliability testing of data, data analysis and interpretation, and statistical inference methods. Professional technical knowledge/expertise in Activity Monitoring & Evaluation, Evaluation Design, data analysis, and reporting. Professional/technical knowledge/expertise in Team Management, Coaching & Training. Mastery of UNICEF's M&E policies and procedures. Latest programme monitoring and evaluation theory, methodology, technology and tools. 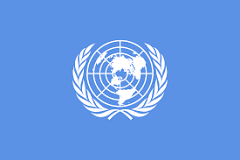 Understanding of UN Mission and system, current key UN topics; and International Code of Conduct. Understanding of UNICEF Mission Statement and UNICEF Guiding Principles. UNICEF is committed to diversity and inclusion within its workforce, and encourages qualified female and male candidates from all national, religious and ethnic backgrounds, including persons living with disabilities, to apply to become a part of our organization.